Five Fresh Trends in Private Dining: Make Your Next Event Your Best Event! 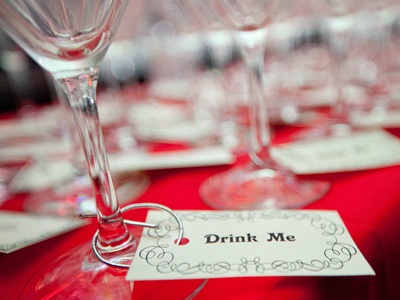 Swank Productions recently put together a Mad Hatter party that would have made Lewis Carroll proud! Planning a private party is stressful, especially if you don’t have the help of a professional event planner. I should know! I’m helping my sister-in-law plan a big birthday party for my brother and it turns out that my ideas are as stale as day-old beer. I didn’t realize this, though, until I called one of Manhattan’s most cutting-edge event planners, Maya Kalman, founder and CEO of SWANK Productions. She steered us away from the old and toward the new — and shared some thoughts on how you can make sure your next private dining party is as current as Kate Middleton’s wardrobe and as cool as Jeremy Lin. 1. Downsize your dining. Literally. Put down the big plate and let’s get small. Kalman shares, “Finger food is very big right now and everything is extremely miniaturized. The smaller and more intricate the food, the cooler it is. Sliders are out and mini — almost micro — Reubens are in!” Speaking of what’s out, she cautions against serving certain fare that has become tired. “There are foods that are starting to make their way out, like the mini mac and cheese. The typical sushi station needs to be retired from the repertoire, as well. Carving stations are a definite no-no,” says Kalman, whose own wedding was featured on Food Network. I defy you to look at this picture without wishing you were in it, ordering a dry Martini and a juicy steak! Oh, wait...is that just me projecting? Probably. Nonetheless, you should still join me here! I heart Benjamin Steakhouse in Manhattan, and I was so glad to learn that this popular power lunch and dinner spot now has a sibling in Westchester. I was curious, though, about the challenges of opening a second restaurant, so I rang up proprietor Benjamin Prelvukaj for his take on the opportunities and the risks. Benjamin, what made you decide to expand your brand? You always want to grow, especially when you can grow during a recession. It means you’re doing something right. It was an opportunity to meet a whole new audience. And, how did you decide on a site outside city limits in Westchester? I live in Westchester County! I live, like, five minutes away. But, it’s not easy to get a great location in Westchester. I always had my eye on this space. It was a hotspot, and then it died down. Still, I would go with my family and friends and eat and drink. I chatted with the owners and felt them out and asked if they would consider selling. At first they said no. And, then they came around slowly. We negotiated for almost two years. Luck was on our side, because the economy was getting worse and worse. How long was the process from start to finish, once you had the lease? It was very quick to open! We took the keys in June. Construction started in July. All (50,000 square feet!) of the building is brand new construction. We had people working 24 hours a day. 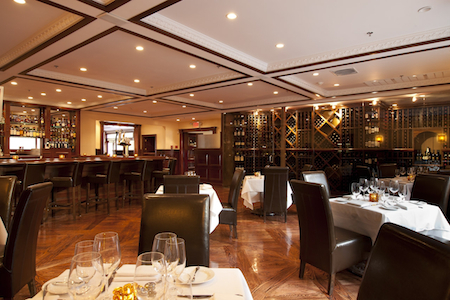 We opened our doors on October 18, 2010, after a couple of weeks of a soft opening. The second location is actually always easier, because we were able to train everyone in our first location. It’s the same system, so it was a seamless transition. And, we got two longtime employees to join us there. Did you face any challenges being outside New York City proper?